Mercury may crash into Venus, but Earth is probably safe, if a new study is right. Credit (Mercury): Messenger spacecraft. NASA/Johns Hopkins University Applied Physics Laboratory/Carnegie Institution of Washington. 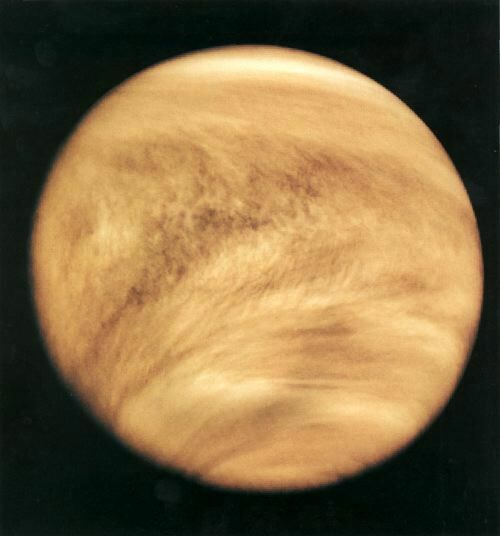 Credit (Venus): Pioneer Venus. NASA. 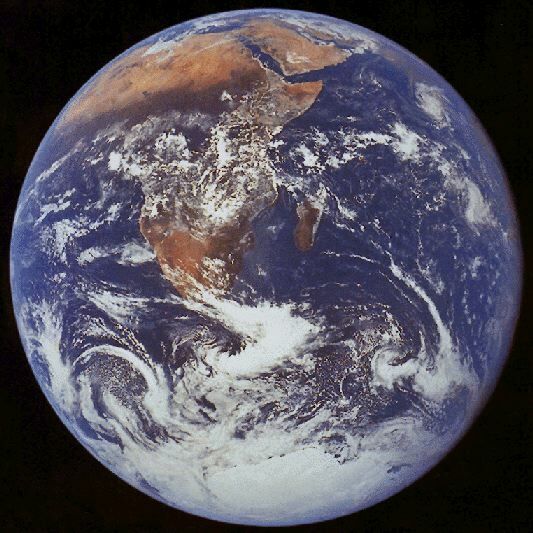 Credit (Earth): Apollo 17. NASA. One day, Mercury could slam into Earth, obliterating all life on our planet. That’s a doomsday scenario scientists have said is a small but real possibility. Now new simulations of our solar system’s future suggest such a catastrophe is less likely than previously thought. Still, not everyone agrees that we’re safe. It’s hard to predict the fate of our solar system, because no one knows the exact positions of the planets today. Over millions of years, even a 1-centimeter difference in a planet’s position can alter its future position, and the positions of other planets its gravity tugs on, by millions of kilometers. For example, simulations show that in some cases Mercury, which already has a fairly elliptical orbit, can get yanked by Jupiter's gravity so that the little planet crosses Venus’s orbit. Then Mercury can hit Earth—or, through its gravity, jostle the orbits of the other inner planets so that Venus or Mars crashes into us instead. Computing the positions of the planets over a period of 5 billion years as they gravitationally interact is a daunting task. But physicist Richard Zeebe had a rare opportunity: the University of Hawaii, Manoa, where he works, was testing a Cray supercomputer it had just bought. "No one will ever get six uninterrupted weeks on this machine ever again," Zeebe says. That's how much computer time he used to run 1600 simulations of the solar system's future. Each simulation differed from the rest because Mercury started from a slightly different position. Zeebe reports good news for modern man: in no simulation did any planet hit Earth. In the 20 September issue of The Astrophysical Journal, Zeebe states that our planet's orbit is highly stable for at least the next 5 billion years and that the odds of another world smashing into us are extremely slim. But Jacques Laskar, an astronomer at the Paris Observatory, blasts the new work. In 2009, Laskar and a colleague performed a larger number of computer simulations—2501—and found one case in which a planet hit Earth, demonstrating that our world is vulnerable to colossal collisions. Laskar says Zeebe didn't run enough simulations to discover such a rare event. "It's like if someone was in a lake, he fished for 2 hours, he says, ‘I don't find any fish, so there are no fish in this lake.’" Zeebe counters that his simulations, though fewer, better track Mercury when it moves fastest, as it does when it's closest to the Sun. 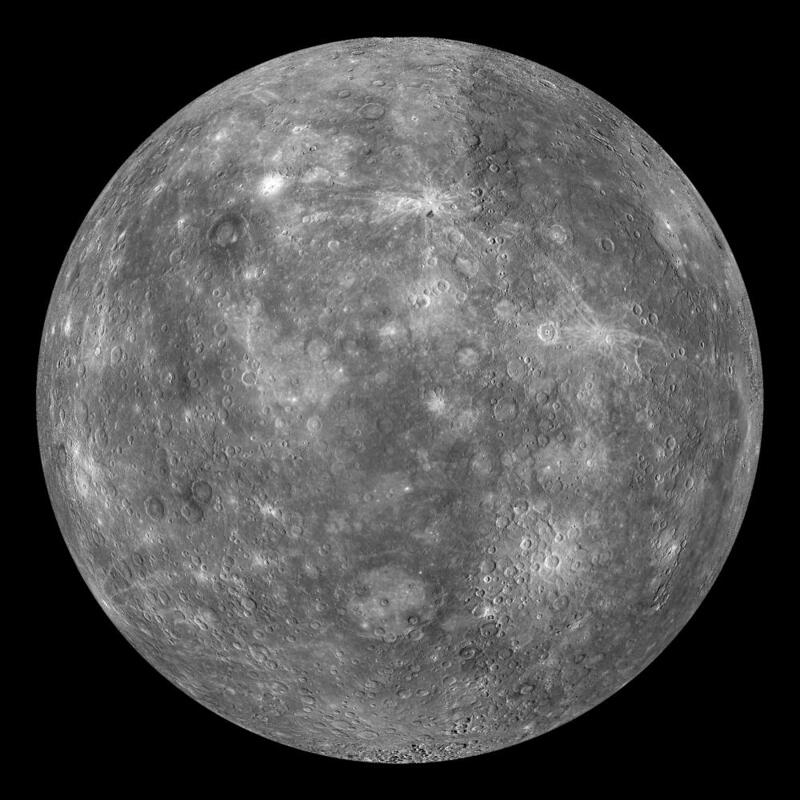 Both scientists agree on one point: Mercury faces possible trouble. Like Laskar, Zeebe found that in roughly 1% of his simulations, the planet eventually acquired a highly elliptical orbit. In three cases, Mercury hit the Sun. And in seven other cases, it hit Venus, with no ill effects for our world. "If we could observe it from Earth, it would be quite a spectacle," Zeebe says. Ken Croswell is an astronomer and the author of Ten Worlds.